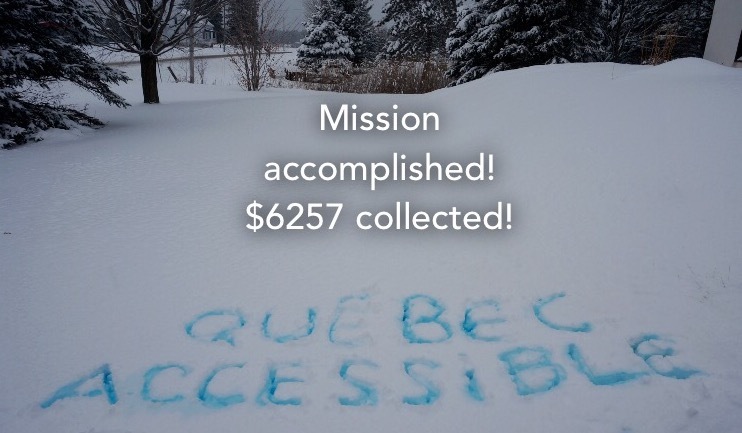 Québec Accessible is proud to announce that we surpassed our fundraising goal and collected more than $6000! 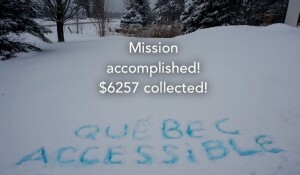 We would like to thank everyone who made a donation. Your support has enabled us to continue our mission. To officially endorse our initiative, we invite you to add your name to the list of supporters on our website.